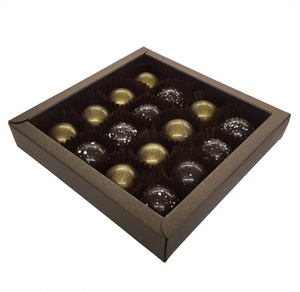 Why not treat your father to some of our award winning chocolates! 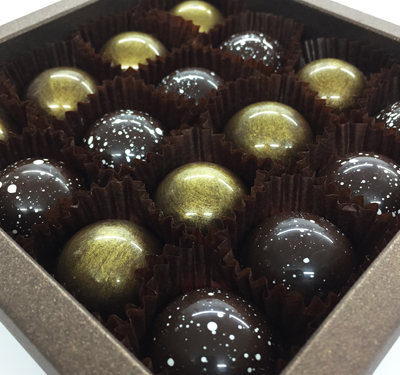 Diplomatico Venezuelan Rum truffles & Lapsang Souchong & Whisky Chocolates. A fabulous Venezuelan dark golden rum, distilled from molasses in a copper pot still before 12 years of ageing. Combined with white chocolate, vanilla to make as smooth ganache centre then encased in dark chocolate and some gold powder for decoration. This is simply a fantastic chocolate! The distinct smoky flavour of Lapsang Souchong Tea combined with Glenlivet single malt Whisky boasting the classic flavours of The Glenlivet bound up in a creamy, smooth texture, and the chocolate finished with a crunchy base. Copyright © 2017 Lauden Chocolate Ltd, All rights reserved.